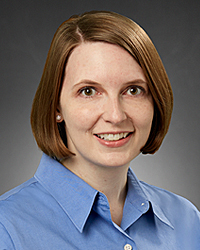 Johnna Kern, DO is a highly-skilled hospitalist serving the Kettering and surrounding community. Dr. Kern graduated from the Lincoln Memorial University DeBusk College of Osteopathic Medicine. She completed her residency in Internal Medicine at Grandview Medical Center. Dr. Kern's commitment to her patients mirrors the network’s mission to improve the quality of life of the people in the communities we serve.